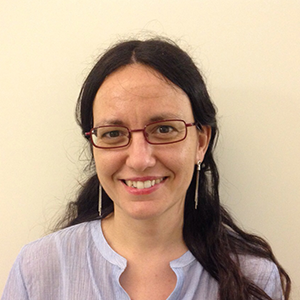 Elena Duque is professor at the University of Girona (UdG) where she is also the academic secretary of the IRE (Educational Research Institute) at the same university. Previously to her appointment at the UdG, Duque worked at the Research Unit of the Spanish Ministry of Education (2003-2005). She has been a visiting professor at the Universidad de Aguascalientes (Mexico). Her expertise is on educational research aimed at contributing to mitigate social exclusion through improving learning. Particularly, her research has focused on the prevention of gender violence, specifically about dating and “nightlife”, teenagers and youngs. She directed the the project “Ideal Love. New forms of prevention of gender violence” funded by the Catalan government. She has published in rellevant JCR journals such as Violence Againts Women, Psycodidactics and Qualitative Inquiry, among others.